Although the MAURETANIA’s visits to the Mersey were very few and far between during her career, she is included on this website as the Mersey was her birthplace. The MAURETANIA looking her best in traditional Cunard colors. The MAURETANIA leaving New York in 1963 in her new ‘cruising green’ colors. In June 1936, Cunard – White Star announced that it had placed an order with Cammell, Laird & Co.Ltd. at Birkenhead for a passenger liner of 35,000 gross tons intended for service between London (cargo only), Southampton, Le Havre and New York. There were several interesting features about this news. It was the first order placed by Cunard – White Star Ltd. (formed in 1934); there was no Government assistance involved; the new liner would be the largest merchant ship ever built in an English shipyard; and finally, although the Cammell Laird yard was only a river’s width away from the Cunard head office, the new ship would only be the third Cunard liner built on the Mersey. The first keel section was laid on 24th May 1937 on No.6 slipway, birthplace of HMS RODNEY, HMS ARK ROYAL and the SAMARIA. Work proceeded well and on 23rd October 1937 Sir Percy Bates, the Cunard chairman, announced that his wife would launch the ship on 28th July 1938, and that it had been decided to name the new liner MAURETANIA, “thus reviving a name which has been made famous the world over by her distinguished predecessor.” This proved to be something of a mixed blessing and whilst giving the new ship immediate recognition, it meant that she had to live up to an unsurpassed maritime legend. When the old MAURETANIA was sent to the breakers’ yard at Rosyth in July 1935 and her name removed from Lloyd’s Register, Cunard wanted to safeguard the famous name for its new liner. So the Cunard Company approached the local Southampton company Red Funnel Steamers, and asked its Directors to rename an excursion paddle steamer MAURETANIA so as to keep the name available. 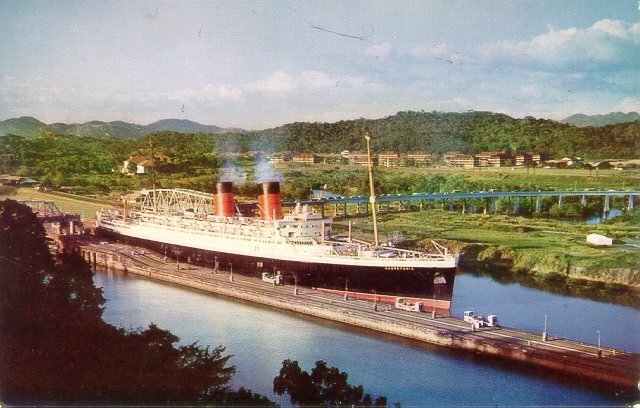 And so it was – the South Coast excursion steamer QUEEN was renamed MAURETANIA from 1st April 1936 until November 1937. On 14th May 1939 the new liner was taken out of Cammell Laird’s wet basin and, with the aid of six tugs, escorted through the Gladstone River Entrance and into the Gladstone Graving Dock – no mean navigational feat. It was here that her 50-ton rudder was fitted. Just over a fortnight later, on 31st May, the MAURETANIA left Liverpool for her acceptance trials on the Clyde. In command was Captain A.T. Brown, RD, RNR. The trials were completed to the satisfaction of the builders and the prospective owners. They were run over the ‘Arran Mile’ and the MAURETANIA recorded a run of 25.34 knots at 47,800 shp. 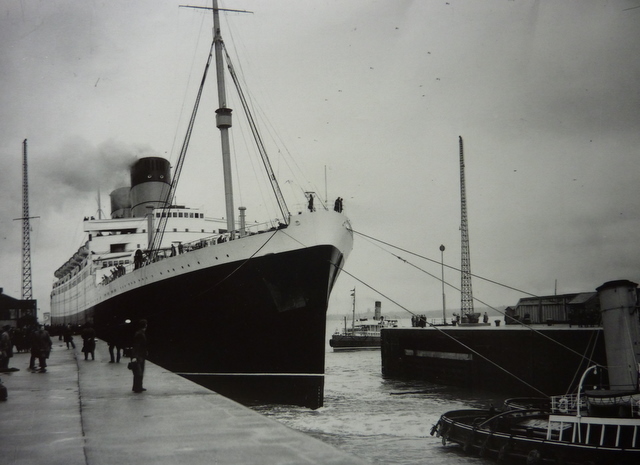 The MAURETANIA returned to Liverpool where she was formally handed over to Cunard – White Star. 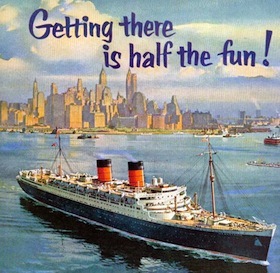 Obviously pleased, Sir Percy Bates commented: “There has never been a Cunard ship that has gone through her trials with less trouble, with less fuss – almost an air of casual ease – than this ship has done.” Statistically, the MAURETANIA was the twelfth largest and sixth fastest liner in the world in 1939. Blue Funnel Line ship MEMNON which was maneuvering to enter the Alfred Lock at Birkenhead. The MAURETANIA left Liverpool on 17th June 1939 as planned, with over 1,000 passengers on board and arrived at New York early on the morning of Saturday 24th June. As she steamed up the Hudson she received the traditional New York harbor welcome. On 6th August 1939 the MAURETANIA arrived in London’s King George V dock. More than 100,000 people watched the 2 hour, 45 minute passage from Tilbury, with London pilot Harry Stowers on the bridge. The MAURETANIA cleared the entrance lock with just 42-inches to spare on either side. The new ship was the largest ever to enter the King George V dock, and this was the one and only occasion that she did so. On 12th August 1939 the MAURETANIA left London for Southampton, Le Havre and New York, where she arrived on 18th August with 1,152 passengers. The next day she sailed on a six-day cruise to Nova Scotia and Bermuda. 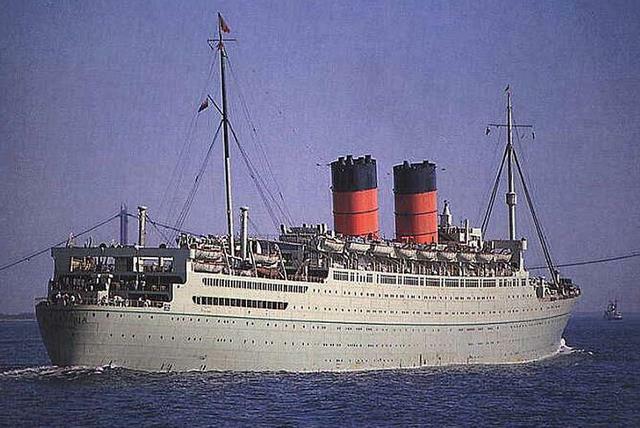 The European situation was deteriorating, and the MAURETANIA left New York on 26th August with 740 passengers. There had been 262 cancellations. The news of Germany’s invasion of Poland on 1st September was received in mid-Atlantic, and the MAURETANIA was ordered to proceed directly to Southampton, and to omit the call at Cobh. She arrived on the day war was declared, 3rd September 1939. 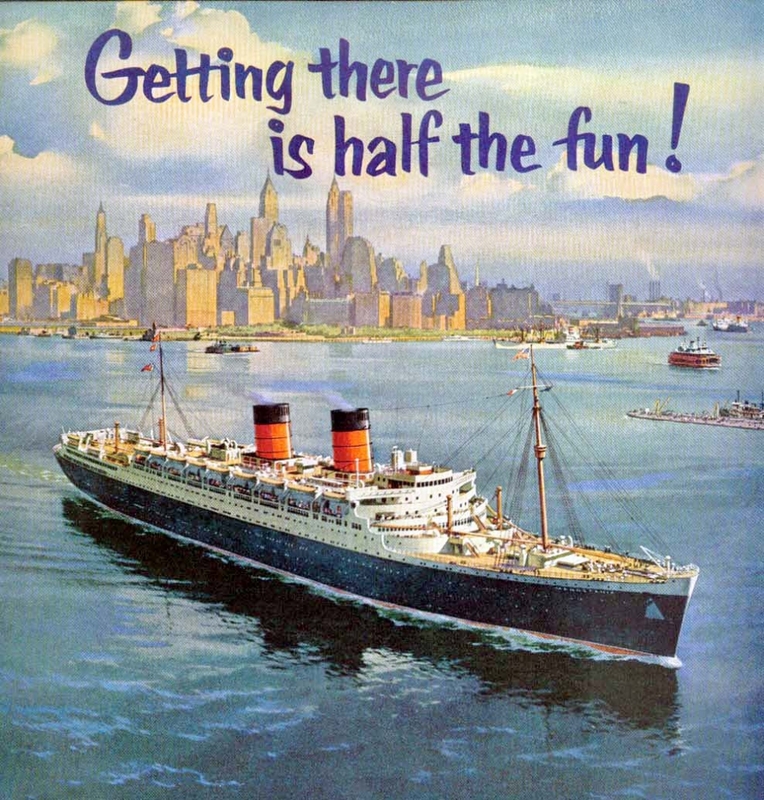 Previous: 1948: Katharine Hepburn sails aboard Holland-American Line’s S.S. Nieuw Amsterdam.